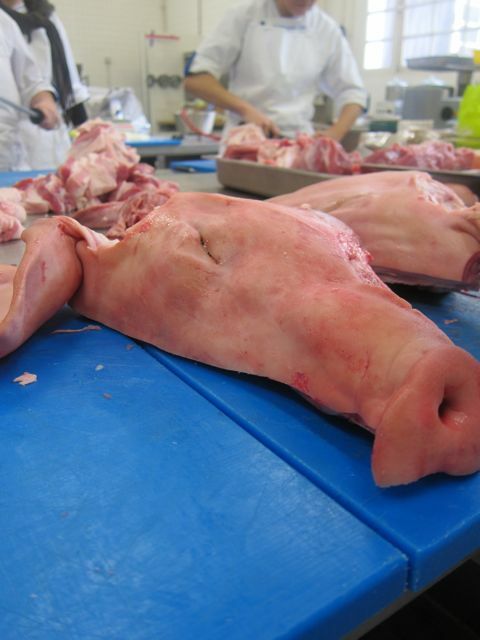 If you’re a huge fan of the movie “Babe” with a piglet as the protagonist – for those who don’t remember it well, please do not continue reading this blogpost as you may be haunted and scarred. 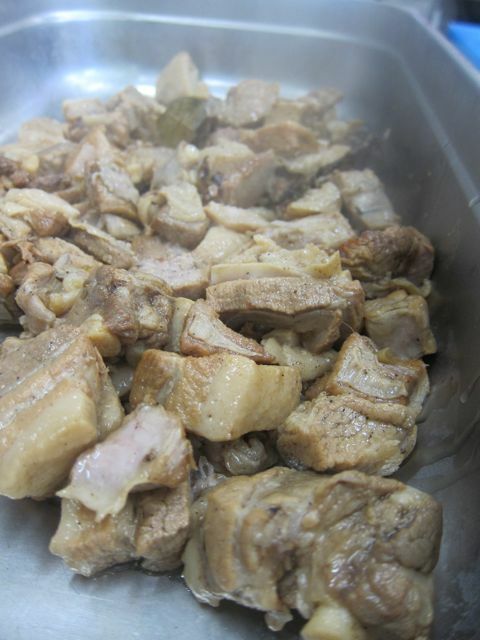 Pork lovers, on the other hand, read on and get ready for your mouth to water for what lies ahead..pork, pork and yes…more pork! 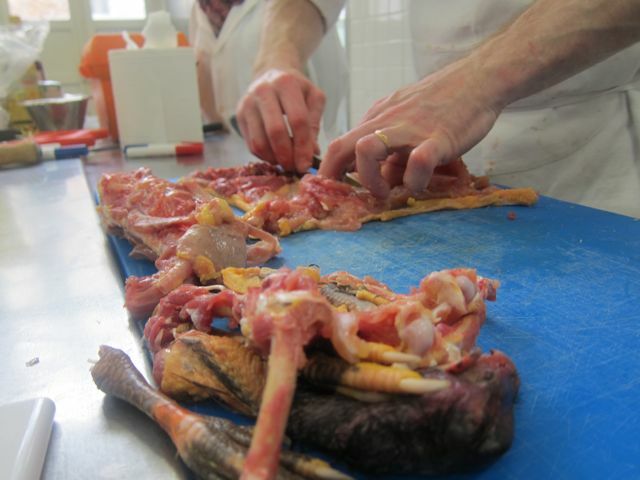 Today our class endured a day of Charcuterie from 8 am until 6 pm but it was such an amazing class, so much about Charcuterie that I didn’t know and that I now have a appreciation for. 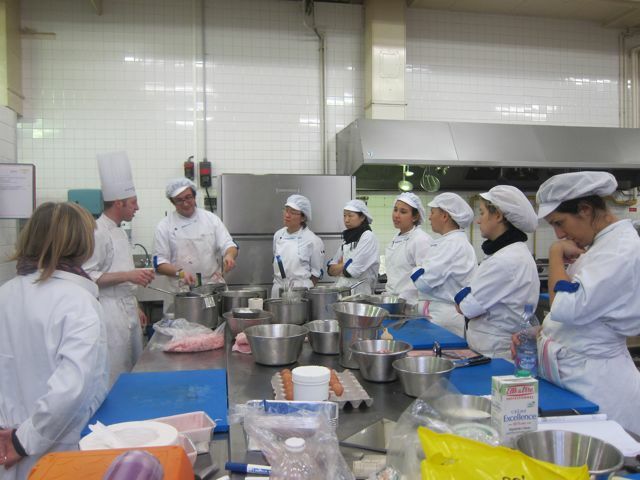 Our class was led by Alain Montassier, whose the head teacher for all Charcuterie classes. 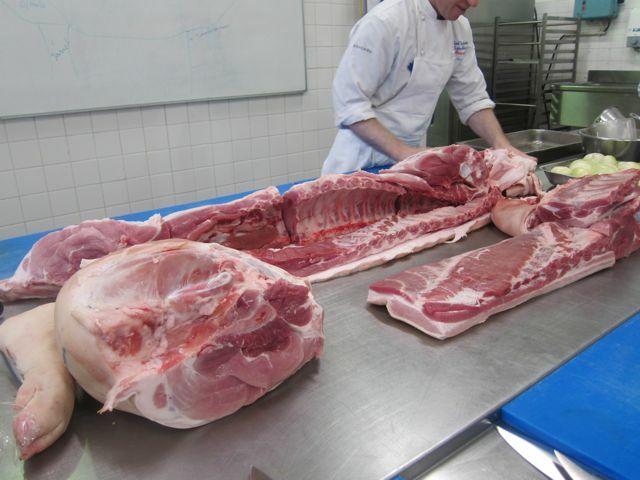 He’s also a finalist for the M.O.F in Charcuterie so it was amazing to hear from him, learn from him and get inside scoop on some of his tailored recipes. 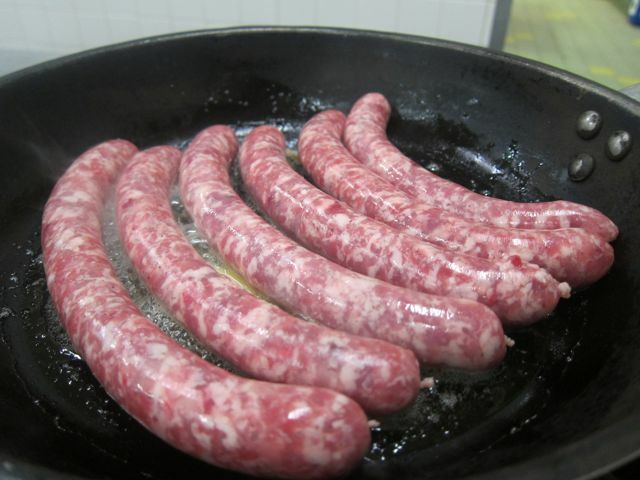 Charcuterie is basically a branch of cooking specializing in meat products, particularly from pork; this includes pâtés, terrines, galantines, ballottines, saucissons, bacon, ham, confit, rillettes, and fromage de tête. 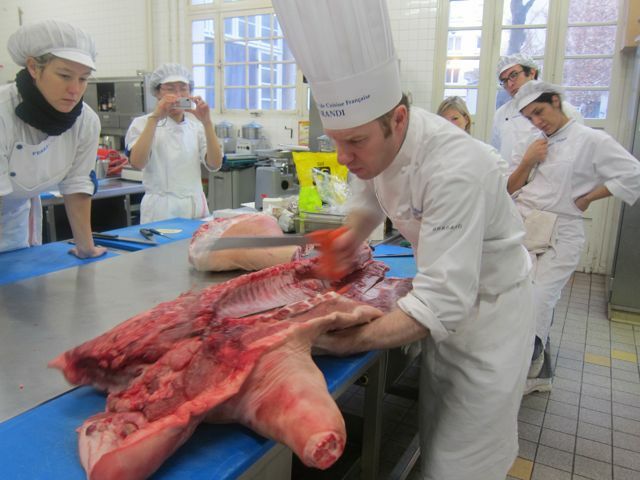 Our class today was based around half of a pig that Chef Montassier deboned in front of us using huge cleavers, knives and a saw! We did 11 recipes in total. In the end…we will use all these parts! 1. 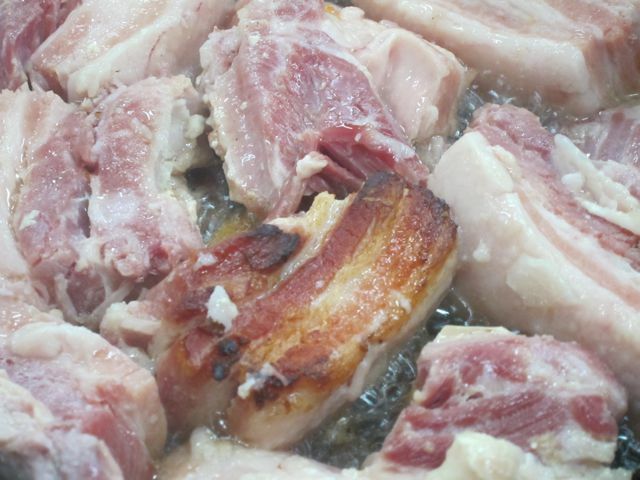 Fromage de tête (literally “head cheese” or “brawn”), consists of chunks of meat from the head of the pig that is pumped with mixture of water, salt and herbs, then cooked in the oven, and put in the fridge to glue with each other. 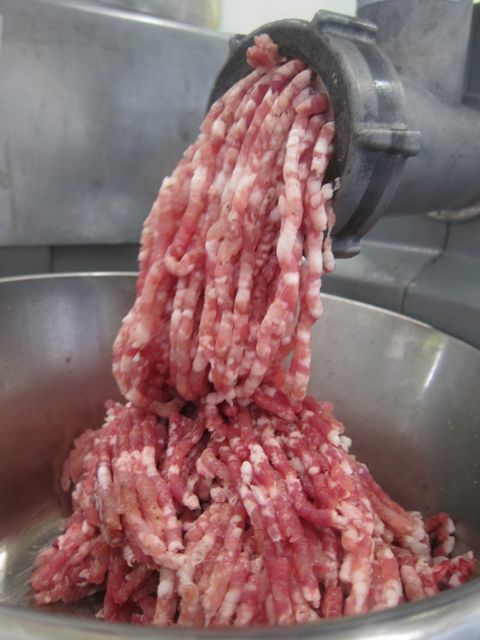 Once cooked, it is then diced. 2. 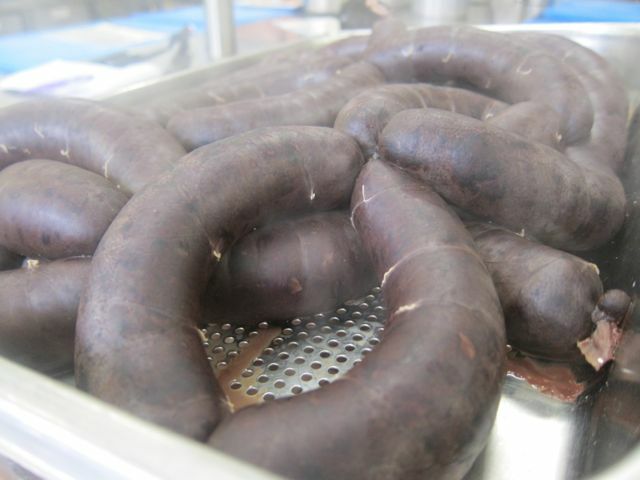 Boudin Noir (also known as Blood Sausage or Black Pudding) is a type of sausage made with cooking pig’s blood thick enough to congeal and cool. 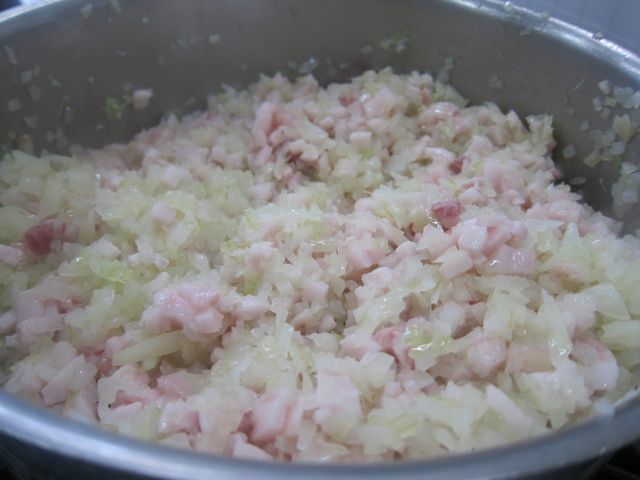 You can add apples and other ingredients to it but today we made it the classic way with diced onions cooked with diced pork fat mixed with the blood, put in the oven and then cooked in a pan with duck fat. Yummy, it was so sweet! 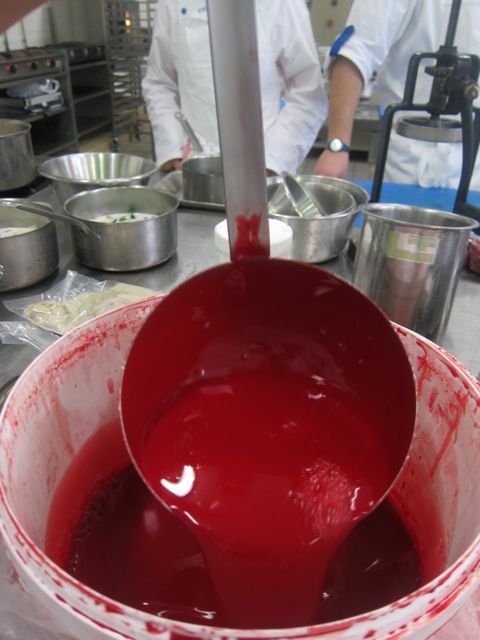 Here’s the blood. We tried it, yes…we tried it. You need to to see if it’s good…Tastes like salt water though. 3. 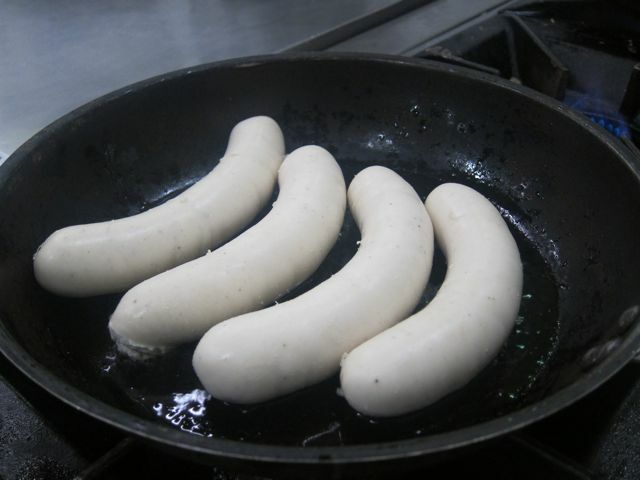 Boudin Blanc (White sausage) is a sausage made of pork without its blood, chicken, eggs and infused milk and then stuffed into casings before going into the steam oven and then onto the frying pan. 4. 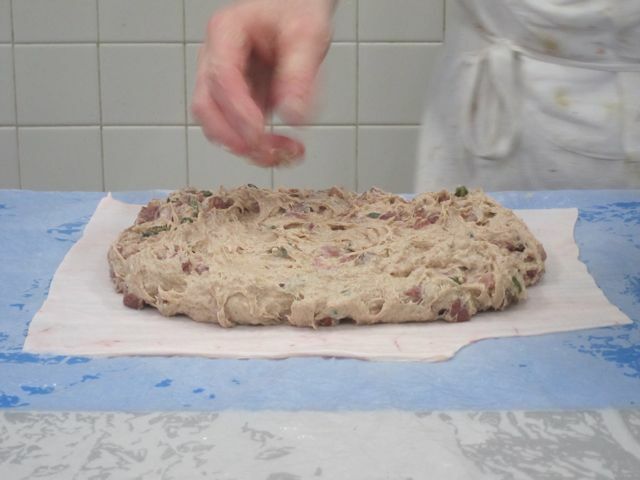 Pâté de Campagne was the easiest recipe that we had to do. 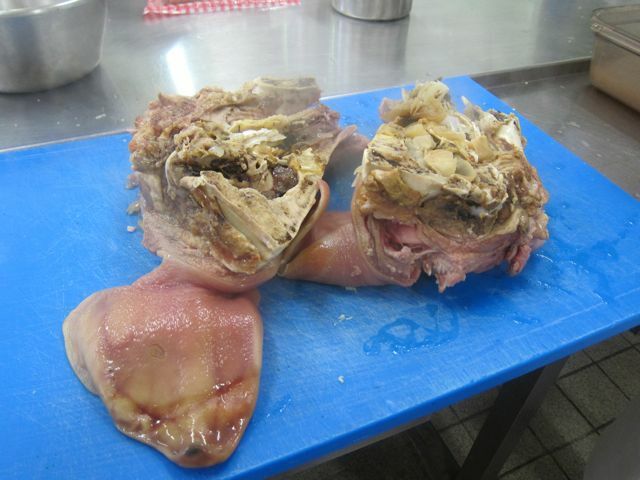 The meat consists of liver, pork neck which are chopped up and then added with condiments (oignons, garlic, parsley, shallots). 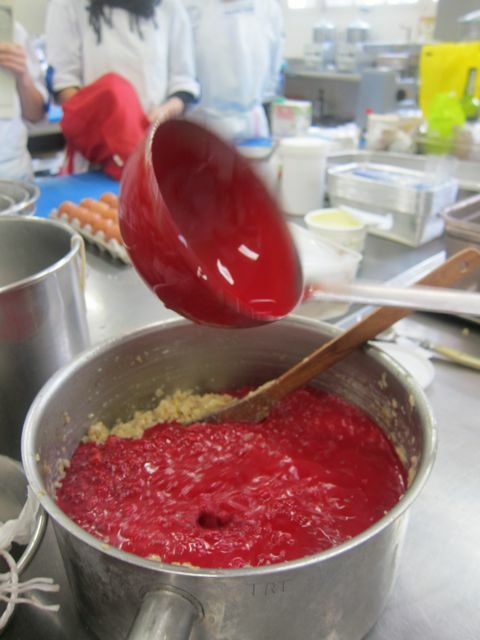 It is easy to make because it isn’t pureed. 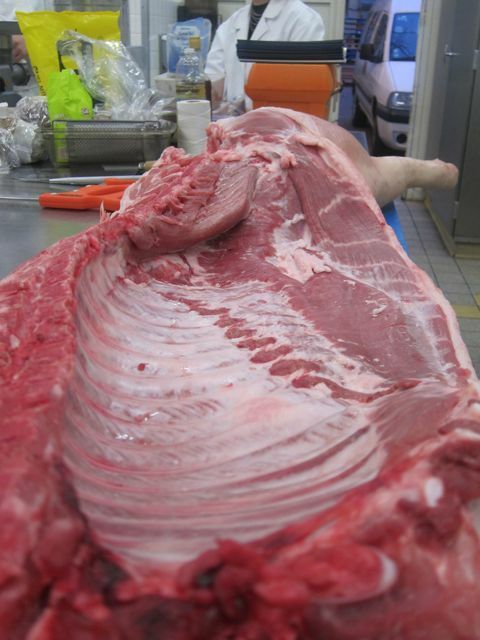 It is then cooked in the oven with a layer of stomach lining for protection. 5. 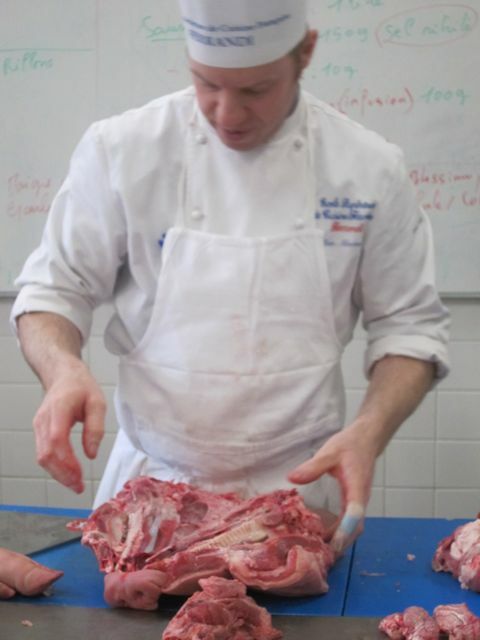 Rillette (similar to a pâté) is made with pork (d-uh) belly (poitrine), then salted, and cooked slowly until the meat ‘falls of the bone’ to the point where it can be easily shredded and then cooled long enough so that it becomes a paste and then ready to be spread on a baguette. 6. 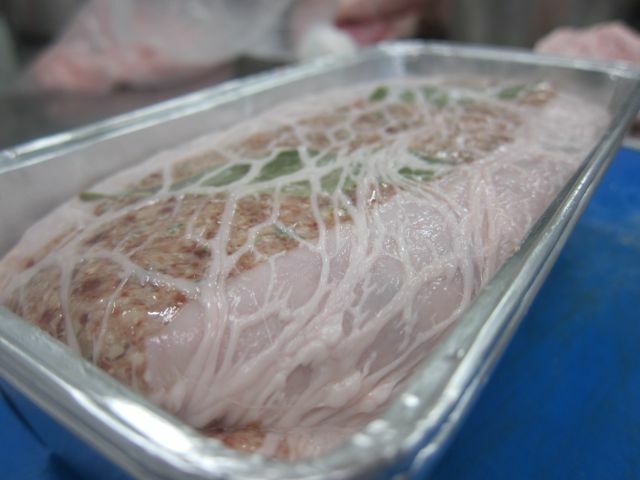 Rillons is the same type of meat as the Rillette (pork belly) but cooked in infused milk, and put in the fridge to cool then pan-fried. 7. 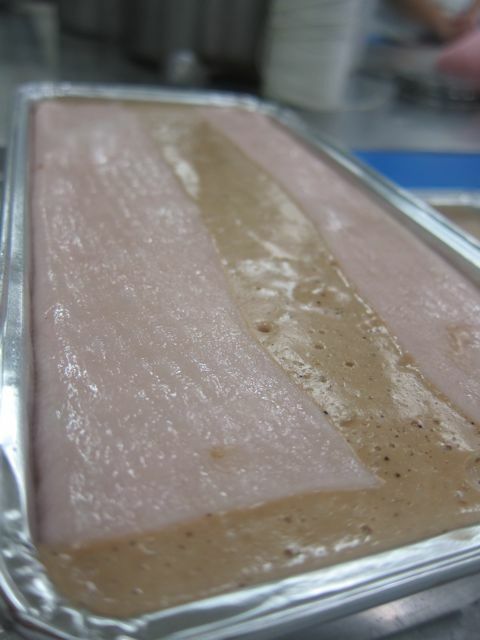 Mousse de foie is literally a mousse of pork liver, mixed with milk and porto wine and seasoned. 8. 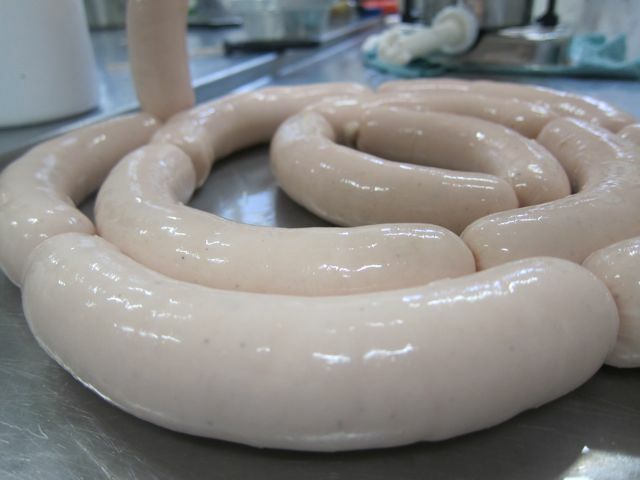 Chipolata is a type of sausage that is very thin, almost breakfast sausage type and can be cooked on the grill. 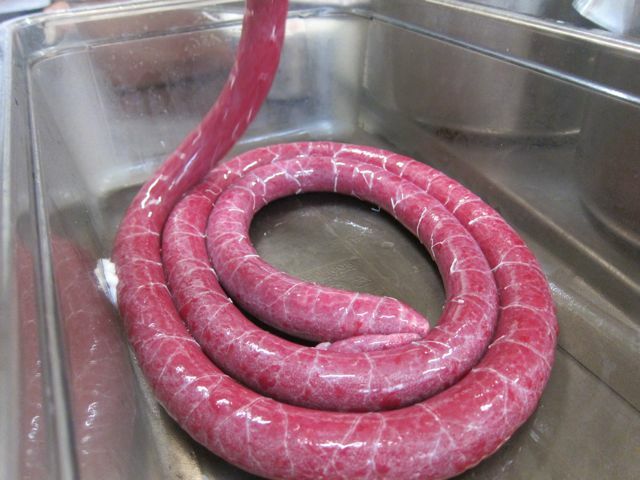 It is made from ground pork, sheep intestine, herbs, and finished off with seasoning. 9. 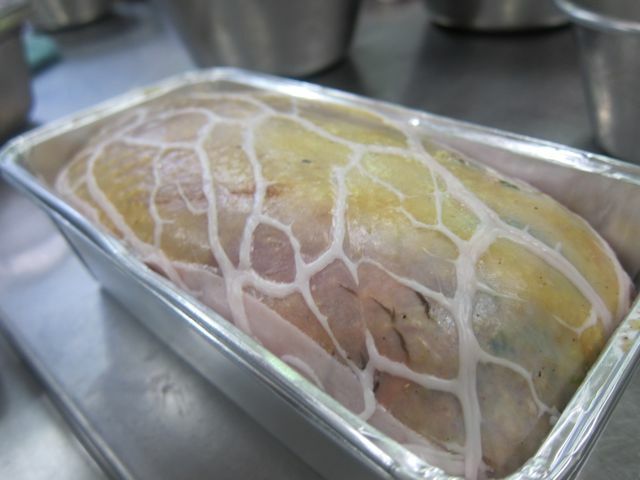 Terrine de Pintade aux Choux (Terrine of guinea-fowl with cabbage and bacon). 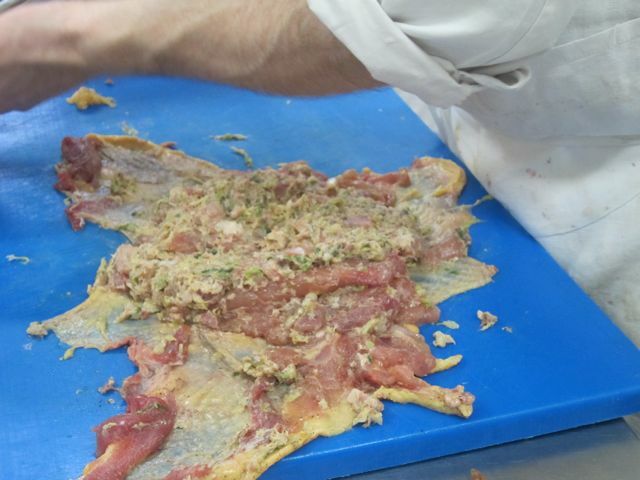 This was Chef’s tailored recipe which included guinea-fowl, pork neck, pork meat, seasoning and pork liver. 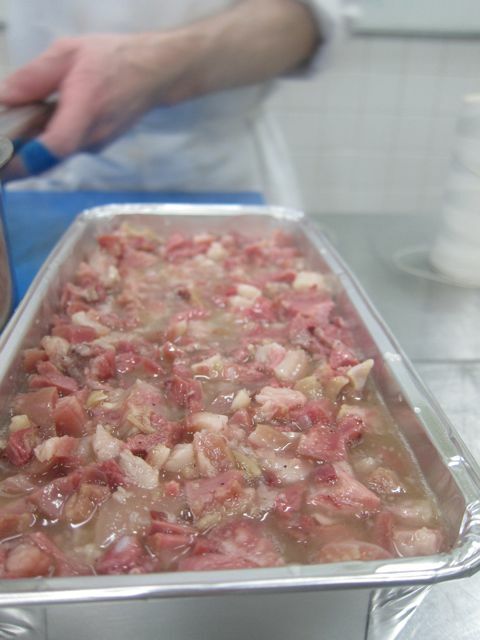 A Terrine is basically grounded meat mixed with cubed-pieces of other kinds of meat. 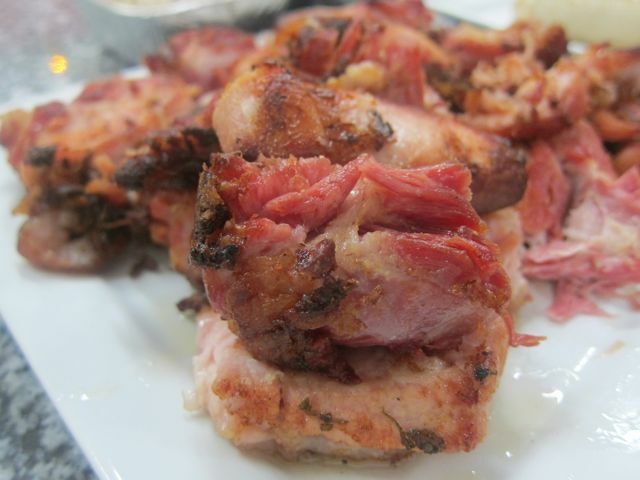 Galantine is ground meat made into force-meat, mixed and accompanied with other pieces of meat (here duck) – it uses the same ingredients as the terrine de pintade aux choux but it is rolled into a cylinder instead. 11. 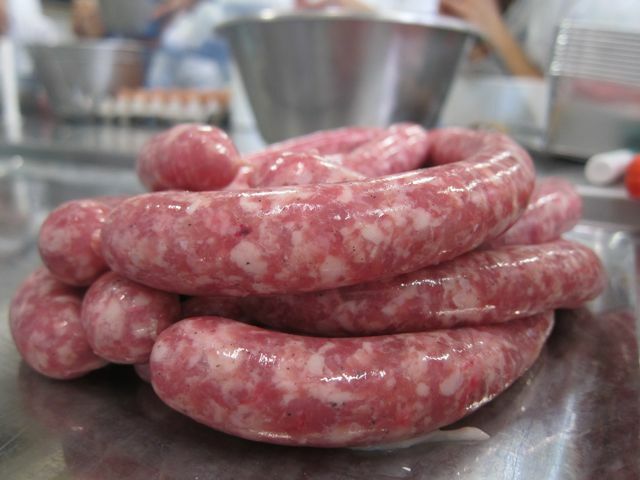 Saucisson a l’ail (literally Garlic sausage) uses pure fat, beef and lean pork meat as well as seasonings (and at least 10g of garlic). 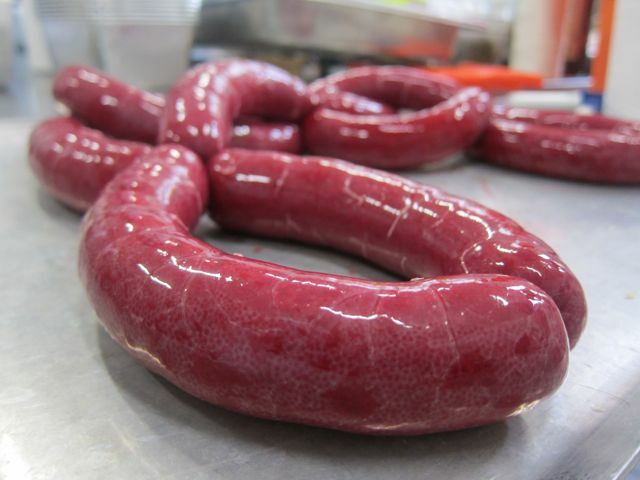 It comes out as a huge sausage. 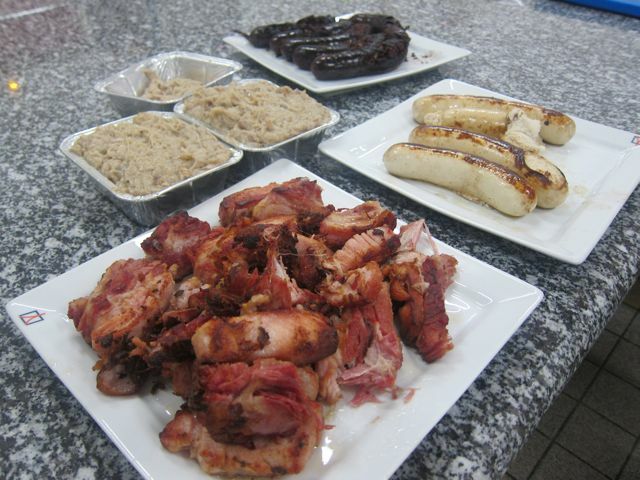 Some of the dishes we tried out! Definitely one of my favorite classes so far! So interesting and fun! Wish it was more than 1 session!